The long-downtrodden Kansas Jayhawks football program could very well be going big-name hunting in their search to replace recently fired head coach David Beaty. According to Dennis Dodd of CBS Sports, the Jayhawks have spoken with former LSU head coach Les Miles about their vacancy. It’s not yet known how far the discussions have gone. The interesting dynamic here is that there’s no real relationship between the program in Lawrence and Miles. Most recently the head coach at LSU, Miles also served in that capacity with Oklahoma State from 2001-04, posting a 28-21 record with the Cowboys. 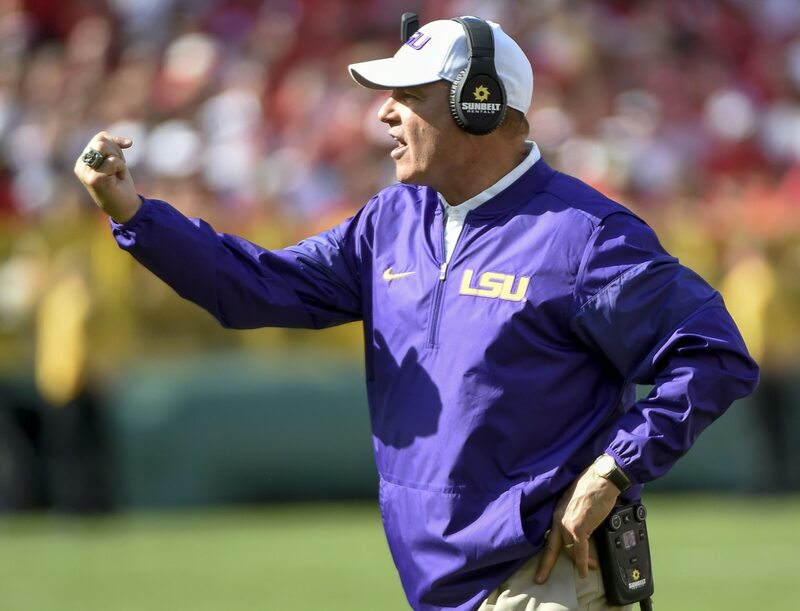 Though, his 12-year tenure in Baton Rouge made Miles a household name around the nation. He led that program to 11 consecutive bowl games before being ousted four games into the 2016 season. That span saw LSU win 10-plus games seven times and earn the national title back in 2007. As it relates to Kansas, it has been among the most embarrassing football programs in the nation. The team boasts a 3-6 record this season and has not won more than three games since the 2009 campaign. In fact, the Jayhawks are 6-39 since the start of the 2015 season.